Thank you for registering for either the 1:30pm or 3:30pm screening of PBS's Great Performances HAMILTON'S AMERICA: A DOCUMENTARY FILM at ASU Gammage. Doors for this event will open 30 minutes prior to the screening. *Please note for the 3:30pm showing the 1:30pm event may be in progress at the time, but guests are welcome to wait in the lobby. Concessions will be available for purchase during both screenings. The movie is approximately 1.5 hours long. Parking in the Gold Lot (Lot 3) is FREE but subject to availability. 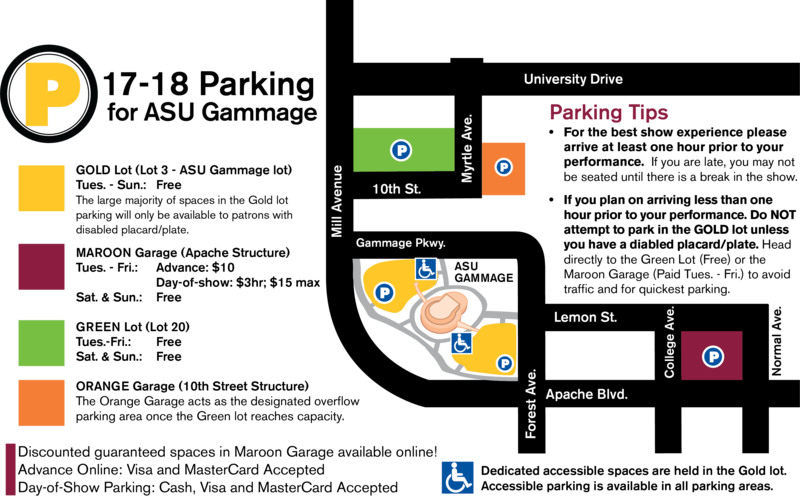 Parking is also available in the Maroon Garage (Apache Structure). Please note there will be a few road closures due the Rock 'n' Roll Marathon. You may check road closures in Tempe by clicking here.